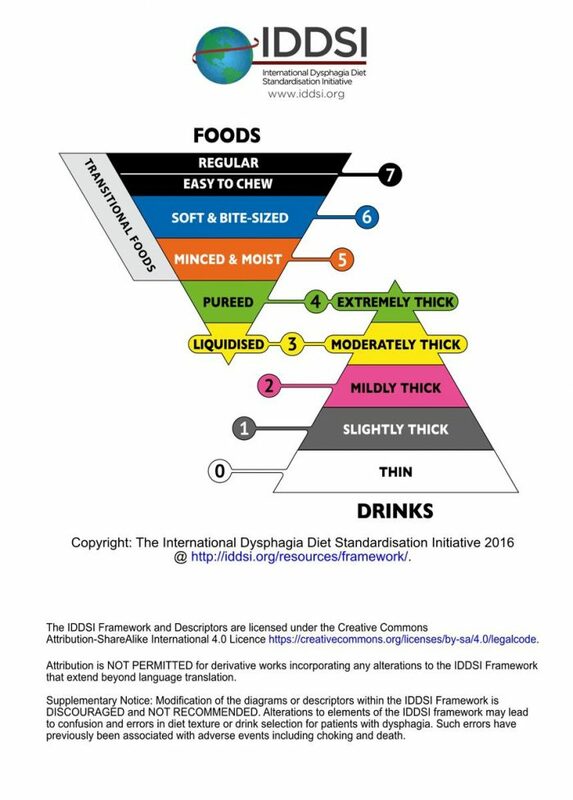 The International Dysphagia Diet Standardisation Initiative (IDDSI) has made an update to Regular and Modified Textures and Fluids. Foods Level 7 is now split into two sections: ‘Regular’ and ‘Regular, Easy To Chew’. Regular will remain a normal diet with no modifications. IDDSI is currently aligning its framework and resources to reflect this update. Level 7 Regular, Easy To Chew food is to be cooked to a tender texture, the same that you would prepare Level 6 Soft & bite-sized food. Unlike Soft & bite-sized food, Regular, Easy to Chew food does not need to be cut into 1.5 x 1.5 or smaller bite-sized pieces. Foods for this level should be able to be cut or broken by the side of a fork or spoon. Using the fork pressure test, press down on the food with a fork until your fingernail blanches white. Lift the fork up and the food should be squashed and has not regained shape. Who is this level appropriate for? Level 7 Regular, Easy to Chew foods are suitable for people that choose to eat soft foods; and who do not tire easily when chewing soft and tender food but are unable to chew hard and firm textures due to weaker muscles. This level should not be used for anyone who cannot safely eat unsupervised. If you are unsure or require further clarification always contact a health professional for further information.